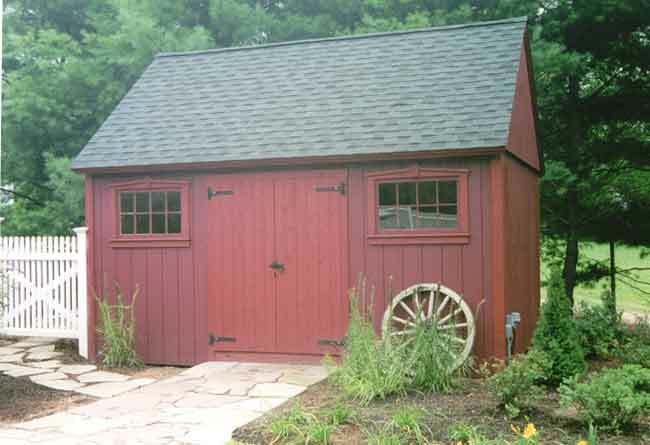 The barn for this original plan was featured in Popular Mechanics magazine as the red painted plywood version in the photo. 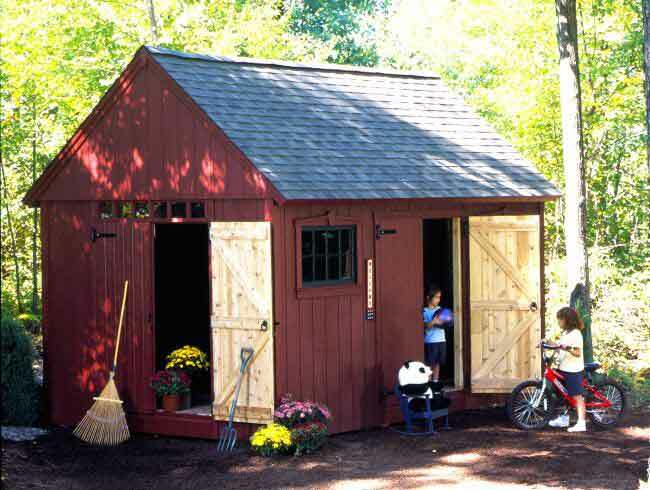 With plywood siding with cedar trim and option of two double doors, one on the long side and one on the gable end. 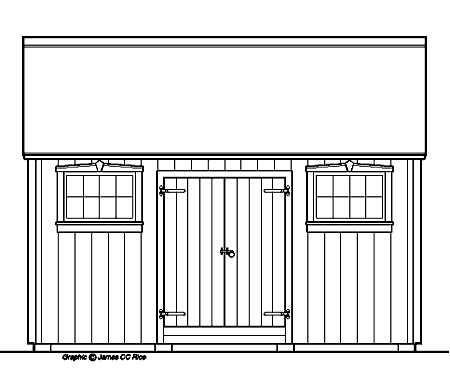 There is a transom window above the gable end door, three 3’ x 2’ sash windows on this plan. Two are on the long side with a double door in the center. There is one on the other 16’ side. Many customers choose to modify their own plan and take out or add a window, same with the doors. 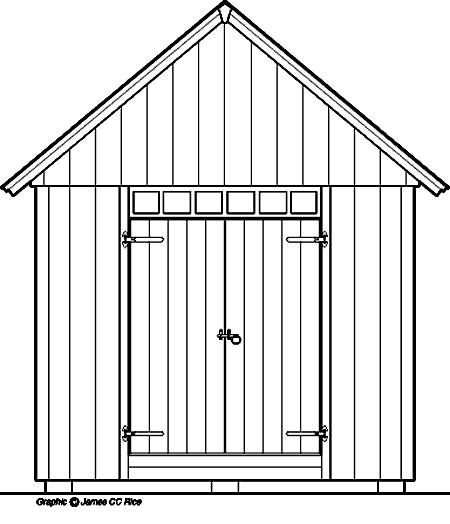 NOTE: This barn plan is featured in the new Building Sheds book as a Vinyl-Sided Storage Shed. You will need to follow the book and make adjustments if you choose to use the vinyl siding, door and window styles referenced in the book. Or adjust to your liking with features from both articles.